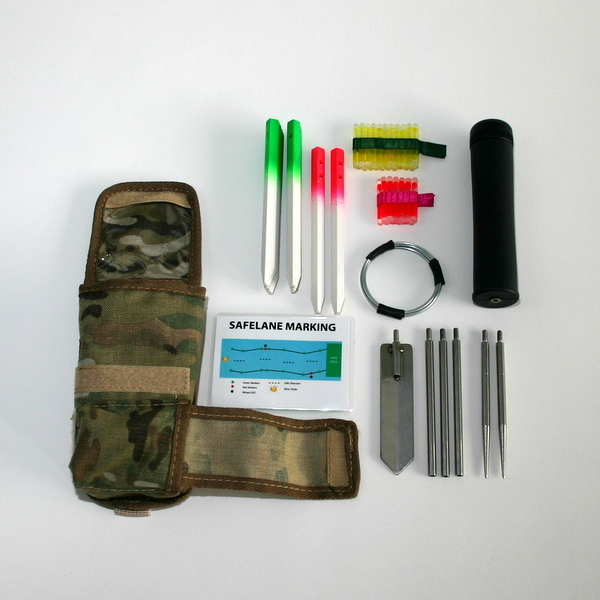 With the increase in use of mines and IEDs in certain areas of conflict, Personal Minefield Extraction Kits are becoming increasingly popular. 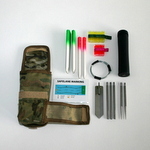 This kit is easy to attach to load carrying equipment or body armour using the MOLLE / PALS system. These kits should be used operationally, only after formal training and in accordance with recognized search and clearance protocols. 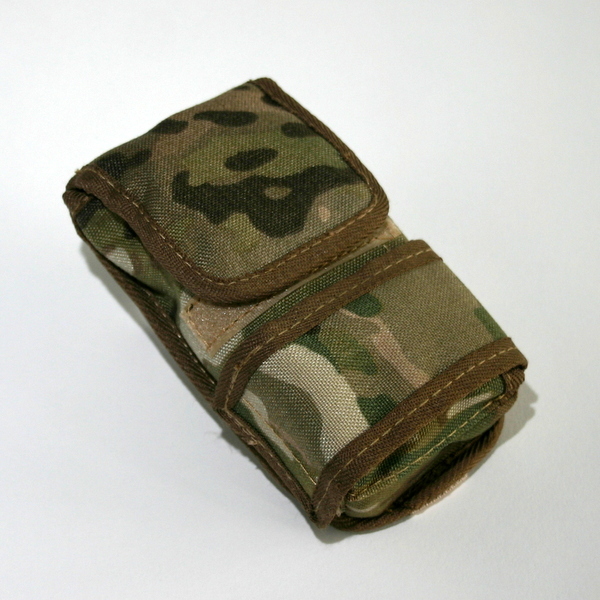 The MULTICAM Cordura pouch with MOLLE attachment, holds the following component parts securely. 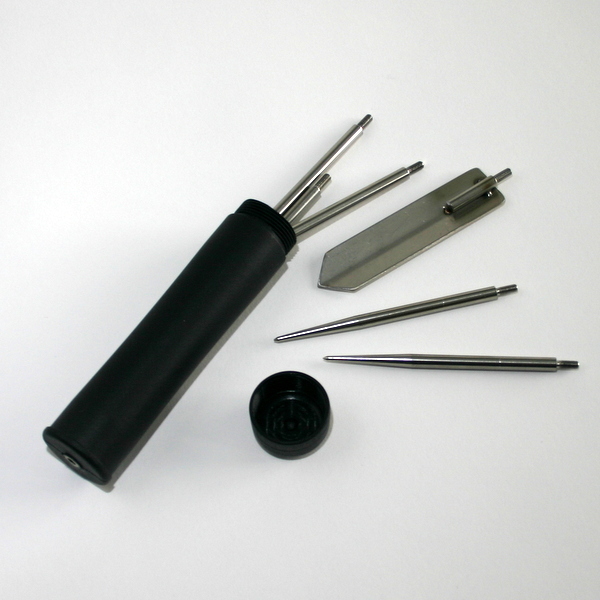 A non-magnetic scraper to remove carefully, and from a distance, any loose earth covering the device. 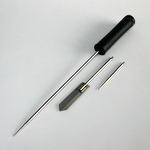 Non-magnetic mine prodders of varying lengths to suit, up to 40 cm (16 inches) long. 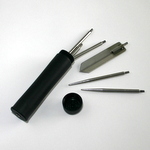 These are pointed and strong enough to penetrate hard, compacted ground. 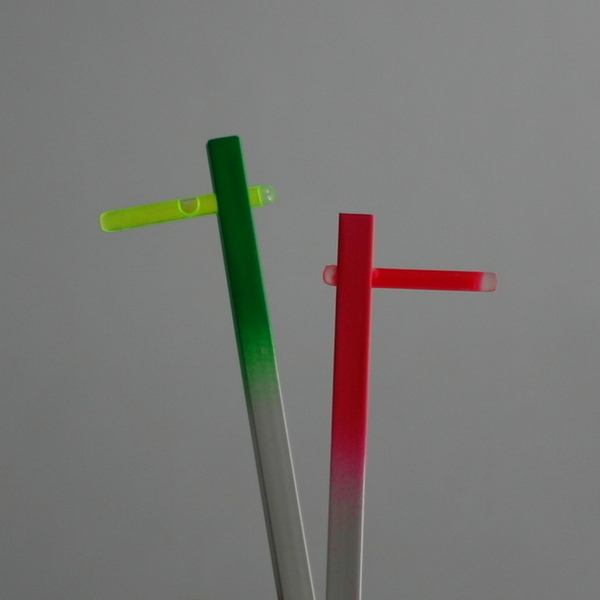 25 coloured marker pegs with additional tactile and visible markings to clearly mark the location of a device (Red), or cleared ground (Green). 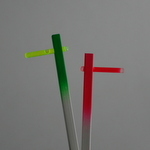 30 small chemical light sticks for night marking which can be readily attached to the marker pegs. An aid-memoire on mine field marking, and prodding techniques.